Harris County, Texas – May 11th, 2017: During the last 2 weeks, Harris County Constable Mark Herman’s office investigated a total of 3 incidents involving physical attacks on elderly female residents while they were working in their front yards. 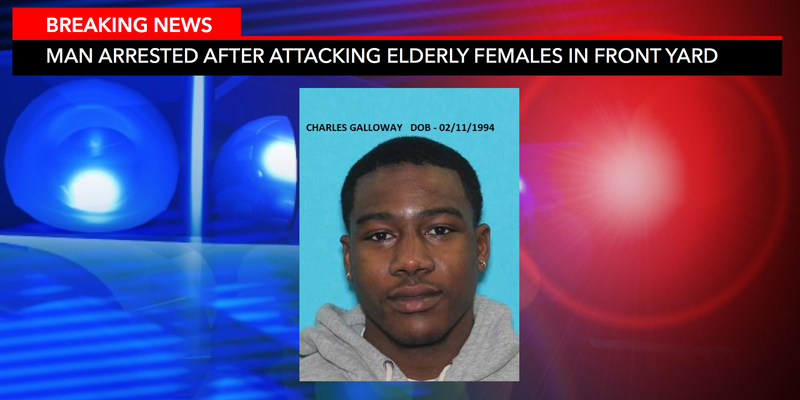 A suspect described as a black male between the ages of 18-25, would come up behind the elderly female victims and assault them, throwing them to the ground. The Precinct 4 Constable’s office while working the 3 cases, identified another elderly female victim from 1 month earlier. In the latest case, the elderly female was attacked from behind and her pants were pulled down. The victim was able to scream, at which time, the suspect fled. Constable Investigators were able to canvass the neighborhood and obtain video of the black male running and getting into a vehicle. With the vehicle description, Constable Investigators began a painstaking task and ran all vehicles in Texas matching the suspect vehicle. We were able to identify a suspect that owned a vehicle matching the description that lived in the area. Investigators were able to produce a photo spread to one of the victim’s and a witness, at which time, a suspect was positively identified. Constable Deputies obtained a Class A Assault warrant on Charles Galloway, B/M, date of birth, 02/11/1994. On the morning of, 05/10/2017, Constable Investigators arrested Charles Galloway at a location where police surveillance had been set up. “Each attack became more physical and sexual in nature”. “Due to the suspect’s actions, it became our # 1 priority to arrest him and protect our elderly citizens”. – said Constable Mark Herman. Additional charges on Mr. Galloway are currently being sought through our District Attorney’s office. If there are any other victims that have been attacked by Mr. Galloway, please contact the Precinct 4 Constable’s Office at 281-376-3472.